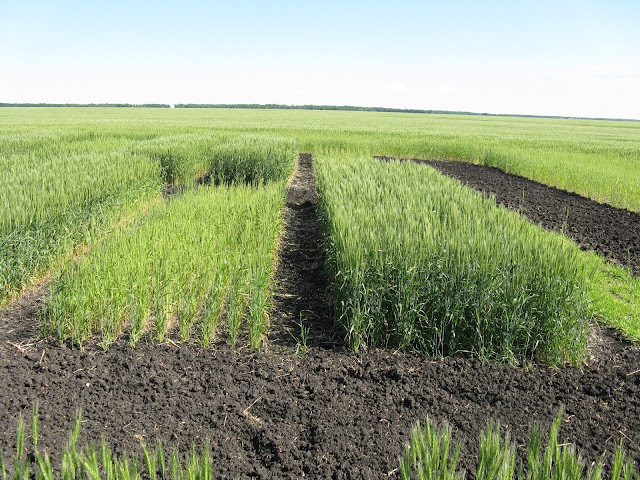 Target application to fields where soils have an organic matter concentration in the top six inches of 3.0 percent to maximize economic benefits. Studies show that the grain yield of hard red spring wheat can be increased with sulfur fertilizers. Yield responses have been found for both irrigated and rain-fed conditions. Apply a rate of 10 to15 lbs of S in the sulfate form on responsive soils. Similar to current recommendations for corn, we suggest 10 to 15 lbs of sulfate-sulfur for medium to fine textured non-irrigated soils, and 20 to25 lbs for irrigated soils. 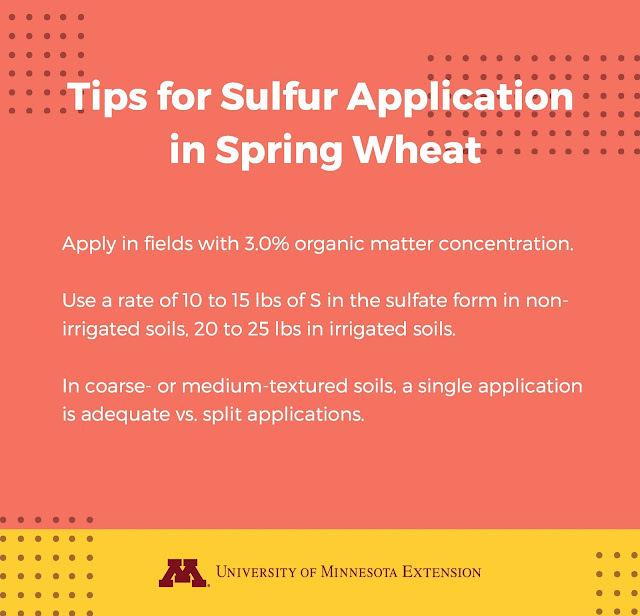 And finally, a single application of sulfur is adequate versus a split application of sulfur on coarse or medium textured soils. While nitrogen is a key component of protein, sulfur affects certain amino acids, which are the building blocks of protein. The research shows that the adequacy of nitrogen will dictate protein production, while the addition of sulfur can change the composition of amino acids. This shift in amino acids can have a positive impact on the baking characteristics of flour produced by the wheat as a higher quality protein. However, because wheat is marketed on total protein, there is no economic benefit at this time in changing the protein distribution of the grain.